This story has been updated with comment from the Defense Department. All told, the Defense Contract Audit Agency questioned $50 million the British company New Century Consulting billed to the Pentagon, according to a report summarized in a letter from Sen. Claire McCaskill, D-Mo., to Defense Secretary Jim Mattis. The vehicles, including Porsches, a Bentley and an Aston Martin, were used exclusively by the CEO and other top executives at the company, DCAA found. The Army project maintained New Century as a subcontractor from 2008 to 2013. New Century was unable to prove that several employees billing as executive assistants actually performed any work for the company. Their average salary in 2012 was $420,000, according to the report, and DCAA labeled them as the significant others of the CEO and chief financial officer. In 2013, the company’s CEO and chief operating officer billed $2 million in combined salary, well above the $200,000 annual executive pay cap as spelled out in the Federal Acquisition Regulation. New Century also overbilled for its consultants by a combined $15 million by charging the government their full rate even when they were not deployed overseas and not working. The contract prohibited the company from purchasing automatic weapons, so they bought $42,000 worth of the firearms using cash. They also expensed to the government more than $1,500 in alcohol purchases. The Army selected New Century as the primary contractor in 2013, despite what McCaskill called “all of the listed issues with NCC’s performance and billing practices.” DCAA is currently investigating New Century for its time as the prime contractor on Legacy East, which ranged from 2013 through 2016. The Special Inspector General for Afghanistan Reconstruction previously questioned the Legacy East contract, finding in a 2015 report that Imperatis -- which formerly conducted business as Jorge Scientific -- billed the government for $135 million in potentially unsupported claims. Those allegations came after a video surfaced of Jorge Scientific employees stationed in Afghanistan intoxicated from alcohol and drug use while, for example, tossing live ammunition rounds and fire extinguishers into a fire. 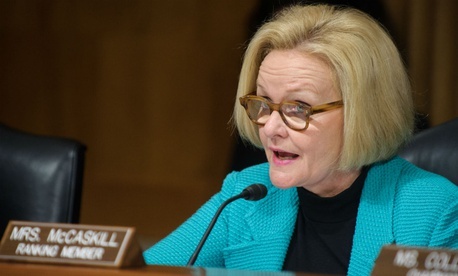 McCaskill called for heads to roll over the latest accusations. In comments to the Associated Press, New Century CEO Michael Grunberg said the subcontractor attempted to follow all regulatory obligations and rejected DCAA’s findings of impropriety regarding the executive assistants, luxury cars and firearms purchases. Christopher Sherwood, a Defense spokesman, said the department has issued the audit report to the contracting officer, who will make "all future decisions about subsequent actions with the contractors," including whether the Pentagon will attempt to recover any of the costs of the contract.